The Eastern Partnership Civil Society Forum (EaP CSF) has announced that the imprisoned Azerbaijani journalist Afgan Mukhtarli became a winner of the EaP CSF Pavel Sheremet Journalism Award 2017. The award ceremony will be held in Tallinn, Estonia on 26 October during the Eastern Partnership Civil Society Conference and 9th Annual Assembly of the Eastern Partnership Civil Society Forum (EaP CSF). 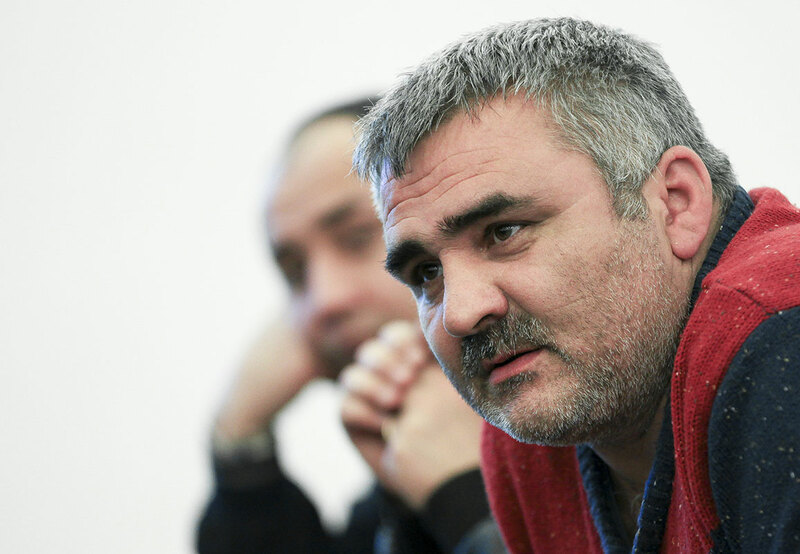 The EaP CSF Steering Committee has decided that Mr Mukhtarli has demonstrated extraordinary courage in journalism and outstanding achievement in the cause of freedom of speech in the Eastern Partnership region in 2017. Mr Mukhtarli exhibited fearlessness in an extremely dangerous environment providing invaluable investigative journalism to his fellow Azerbaijanis through exposing high-level corruption and conflicts of interest among officials. At the end of August, the court extended Mukhtarli’s pre-trial detention until the end of October. A great number of international organisations have spoken out in support of Mr Mukhtarli. Following his abduction, the European Parliament issued a resolution strongly condemning his abduction and prosecution. The EaP CSF Steering Committee welcomed the resolution on the case of Afgan Mukhtarli and called for further attention to his situation. The EaP CSF strongly believes this award will serve not only as a recognition of bravery in an extremely challenging profession, but also as a gesture of solidarity with both Mr Mukhtarli, and the entire Azerbaijani independent media community continuing its work in a climate of fear and repression. The Forum also hopes that this opportunity will contribute to putting a more effective pressure on authoritarian regimes in the Eastern Partnership region in order to put an end to the persecution of independent journalists. While the situation with the media freedom in the Eastern Partnership (EaP) countries has been deteriorating in the past years, its importance cannot be overestimated. The EaP CSF Pavel Sheremet Journalism Award was established in 2016 in order to recognise outstanding reporting on injustice and human rights abuses in the EaP region. The imprisoned Crimean journalist Mykola Semena became its first recipient. He is accused by the Russian authorities of allegedly violating Russia’s territorial integrity following an article, in which he argued that Crimea should be returned to Ukraine. On 22 September 2017, the Crimean court convicted him on separatism charges and handed down a 2.5-year suspended sentence with a 3-year ban on future journalistic activity. Read his latest statement here. The award is named in honour of Pavel Sheremet, a prominent journalist who denounced political abuses in Belarus, Russia and Ukraine, for his exceptional contribution to the promotion of human rights and freedom of speech; he became a victim of a car bomb explosion in Kyiv in July 2016. The Eastern Partnership Civil Society Forum (EaP CSF) is a unique multi-layered regional civil society platform aimed at promoting European integration, facilitating reforms and democratic transformations in the six Eastern Partnership countries – Armenia, Azerbaijan, Belarus, Georgia, Moldova and Ukraine. Serving as the civil society and people-to-people dimension of the Eastern Partnership, the EaP CSF strives to strengthen civil society in the region, boost pluralism in public discourse and policy making by promoting participatory democracy and fundamental freedoms. For more information, please visit the EaP CSF website.